As all of you know, my name is J.H. Snider. 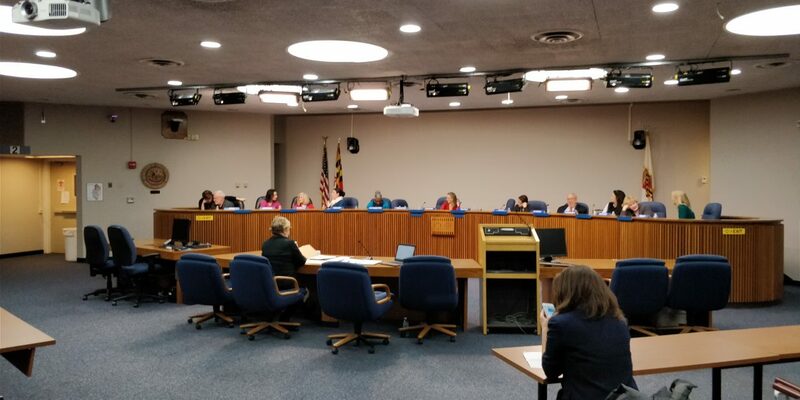 At the first meeting of the Anne Arundel School Board Appointment Commission, I presented written testimony for the public record on the school selection commission’s record of secrecy and due process violations. Included in those recommendations were recommendations for amendments to your bylaws. At a subsequent meeting, you approved new bylaws after claiming that you had solicited public comment regarding your proposed changes and that no one had submitted such comments. That is a vintage example of the school board selection commission’s track record of professing to value listening and public participation but acting otherwise when it counts. And forget about me. Look at the complete track record of public participation before the commission, especially regarding due process issues, since 2007 when the first commission was established and since the beginning of this year when its new iteration was established. The record illustrates that the public, especially parents with children, are too smart to say anything that the commission’s leadership might deem critical. I’m now submitting for the public record my complaint to Maryland’s Public Information Act Ombudsman concerning your use of private email accounts to conduct the commission’s business. I’ve raised this issue multiple times over the past decade, including in public testimony before the new SBAC. From my perspective, Hillary Clinton’s use of private email for official business is a model of transparency and accountability compared to this commission’s use of such email. Lastly, I’d like to submit for the public record my op-ed in today’s Capital, which summarizes some of the material in my submitted Public Information Act correspondence. In particular, I’d like to call your attention to the commissions’ failure to publicly post appointment letters. For about a year I tried to get official appointment letters out of Joshua Green, the former commission chair, and he refused to either give them to me or publicly post them because he knew they contained highly sensitive political information. That was the backdrop to my article in today’s Capital. Appointment letters should be publicly posted, regardless of whether they contain politically sensitive information. When they aren’t publicly posted, a culture takes root that fosters the type of sloppiness described in my Capital op-ed. I hope all of you at this meeting will commit to publicly posting your official appointment document on the SBAC website. Thank you for allowing me to testify today. PreviousA story behind the story of the school appointment commission’s non-appointment?